Philadelphia District Attorney Larry Krasner, left, and John McNesby, president of the union that represents police officers in the city. “He’s running his own show here, and it’s like a carnival act,” John McNesby, president of Fraternal Order of Police Lodge 5, said of Krasner. During a four-minute segment on Carlson’s show, McNesby gave voice to a number of familiar criticisms that Krasner’s detractors have leveled against the city’s top prosecutor since his swearing-in last January, such as his firing of 31 prosecutors during his first week and new policies aimed at reducing incarceration. Krasner’s spokesperson, Ben Waxman, did not respond to requests for comment Friday morning. But Rochelle Bilal, president of the Guardian Civic League, an organization of black police officers that endorsed Krasner during his reform-driven campaign, said that she did not agree that Krasner disliked law enforcement, and that “people need to stop” pointing fingers at one another. McNesby’s broadsides are the latest chapter in a relationship that has been contentious since Krasner’s campaign. In November, the FOP sued Krasner and the city over the district attorneys decision to create a list of cops with potential credibility problems. A month earlier, when Krasner charged ex-Officer Ryan Pownall with murder over an on-duty shooting, McNesby called the decision an “absurd disgrace.” And last March, the two sides got into a public spat over a speech by Krasner to recruits at the Police Academy. McNesby, during his interview with Carlson, criticized the fact that Krasner’s office pursued fewer cases last year, and several times he mentioned “4,000 felons” being released from prison, an apparent reference to the city’s years-long effort to reduce its jail population. 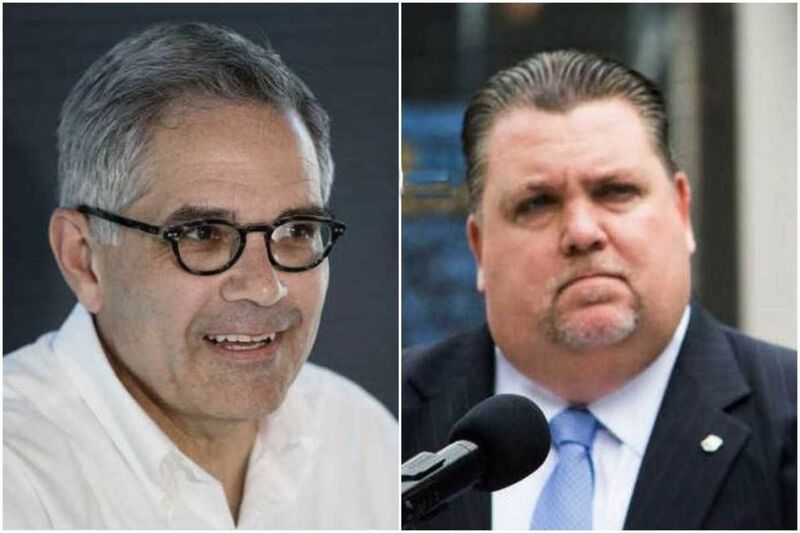 Krasner and other city officials have long contended that the reduction has not caused crime, pointing out that the city’s overall crime levels have simultaneously decreased. McNesby also said “crime is up” under Krasner, although police statistics show that the city’s violent crime tally — which counts homicides, robberies, rapes, and aggravated assaults — was down 5 percent in 2018 compared to the year before, and overall crime was about level. It is true that the city recorded more homicides in 2018 than any year since 2007, and that non-fatal shootings in 2018 were higher than any year since at least 2014, police statistics show. Officials including Krasner and Police Commissioner Richard Ross have attributed the spike in homicides, at least in part, to a rise in drug-related killings.